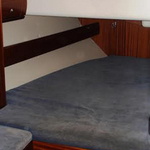 Sailing yacht Bavaria 49 called Aeolos Tzortis has been built in 2004. 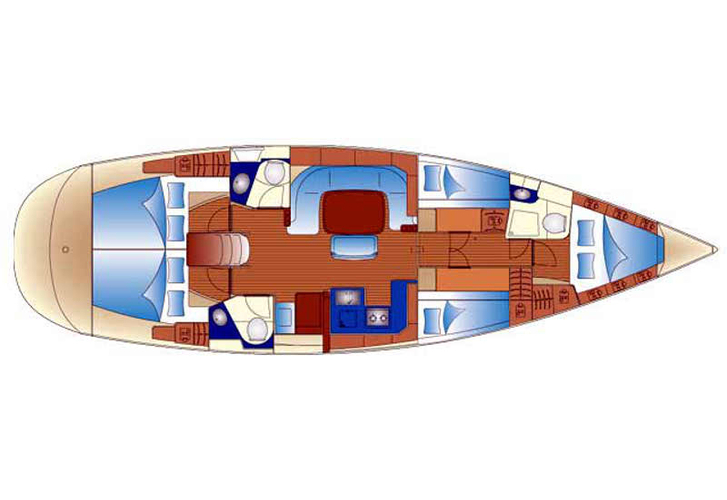 We propose her from port Athens in region very close to Athens. Aeolos Tzortis is certified for 10 pax. 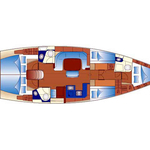 Layout of the vessel is 10. 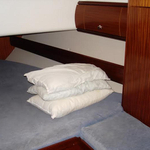 Bavaria 49 Aeolos Tzortis is equipped with 5 bedrooms. 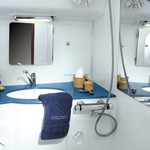 For comfort of passengers there are 3 WCs. You can fill the fuel tank with 320.00 l l. and in water tank it goes even 650.00 l liters. 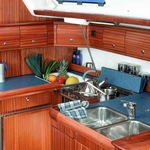 With motor Volvo Penta TMD22 57 Kw / 78 hp Aeolos Tzortis can sail really fast. Aeolos Tzortis is 15.40 meters long and 4.46 meters wide. Depth is 1.80 meters. 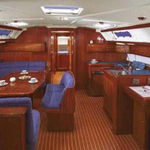 Use this site to find more yachts in this section: Yacht charter Athens. 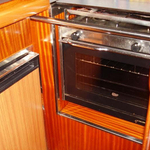 Yacht's equipment involves : Autopilot, Gps plotter, Inverter 12v-220v, Radio / cd player, Bed linen, Bimini top, Dinghy, Outboard engine, Mainsail with lazy jack, Bow thruster. . Deposit is 2000.00 EUR. Choose our offer and have good time on the deck of Aeolos Tzortis. 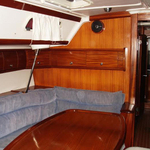 This Bavaria 49 from Athens from Greece Find in this section: Yacht charter Greece.